I like to pick a theme for my kids birthday parties that celebrates the things that they love the best! Which in the case of my daughter Charlotte, is ponies (she just started taking riding lessons) and puppies (she adores our dog, Bentley)! 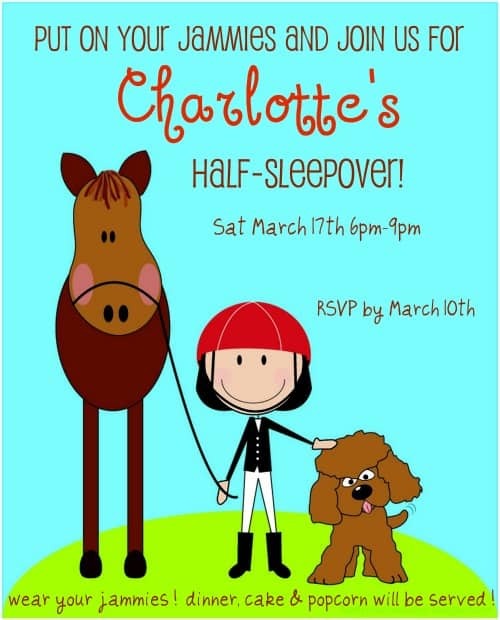 Which is why we thought a Puppies and Ponies Party would be the perfect 8 year old girls birthday party idea! It's right about the time that the kids turn 8 years old that birthday parties become a bit tricky. An over-themed party involving lots of structured activities and crafts may seem too young for your budding tween. Yet, for some kids, a full-blown sleepover party complete with staying up super-late and watching tons of movies may be more than a tender heart (used to being close to home) is ready for. So coming up with an 8 year old girls birthday party idea can be a challenge. Enter the half-sleepover party! Guests come wearing their jammies and participate in all of the traditional sleepover party activities, but get picked up later in the evening so everyone gets to sleep at home! Nathalia, from Firefly Creative Design, created this artwork that I used in our invitation and thank you notes. You can download a blank version of each at the bottom of this post! We decided that the girls would eat dinner in our dining room, so to make it festive we decorated with tissue paper pom-poms This is an affiliate link: MomOf6 earns a commission if you purchase, at no additional cost to you. and little cards with the pony and puppy art. We placed a few beanie baby ponies Ponies This is an affiliate link: MomOf6 earns a commission if you purchase, at no additional cost to you. and puppies This is an affiliate link: MomOf6 earns a commission if you purchase, at no additional cost to you. in hurricane glass holders and sprinkled the table with jellybeans This is an affiliate link: MomOf6 earns a commission if you purchase, at no additional cost to you. to be edible confetti! 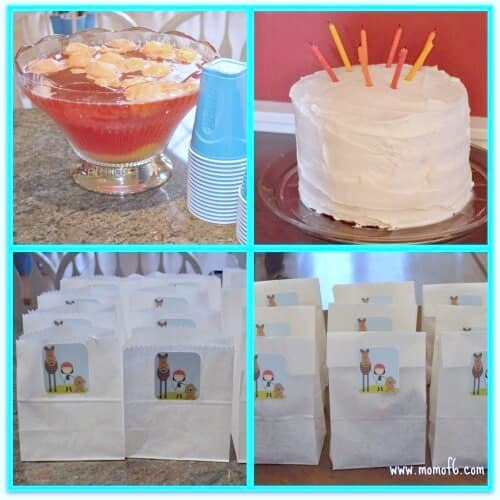 Our final prep for the party included baking this multi-layered rainbow cake, preparing our family-favorite “party punch,” assembling popcorn bags to be passed out during the movie, and putting together goodie bags for the guests to take home. As we waited for our nine guests to show up, the girls enjoyed playing Just Dance This is an affiliate link: MomOf6 earns a commission if you purchase, at no additional cost to you. on the Wii. And let me tell you- this could have been the event to carry the entire party! 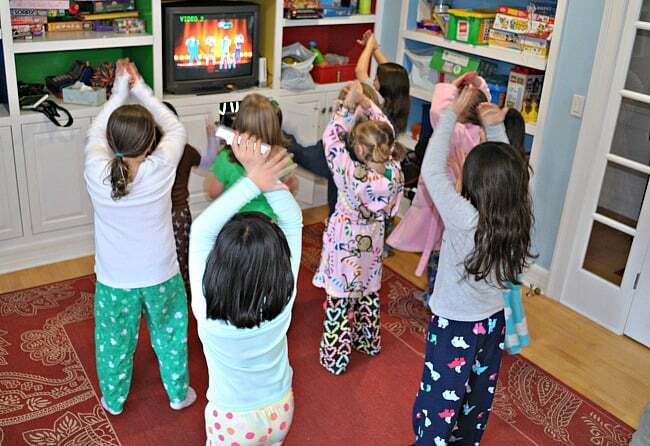 The girls loved playing this as a group- no one cares who gets to hold the Wii remote, they just want to DANCE! Instead of the typical party meal of pizza, we decided to offer a make-your-own salad and pasta bar. This was a HUGE hit- and certainly much less expensive than ordering in pizza! We served two different kinds of pasta (linguine and penne) with their choice of butter, tomato sauce, or tomato sauce with meatballs. We toasted garlic bread, served up a big bowl of romaine, and the girls could top their salad with carrots, cucumbers, grape tomatoes, croutons, and three kinds of dressing. 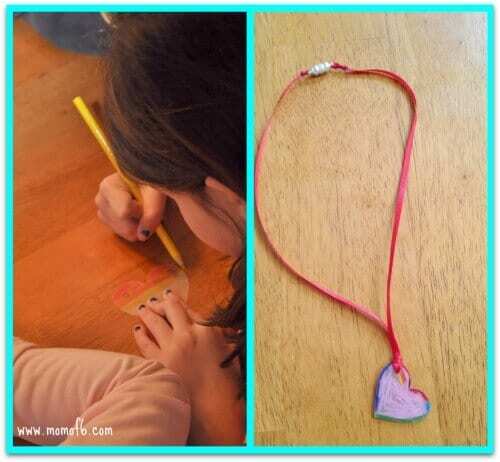 Everyone loves to make shrinky-dinks! I purchased sheets of the ruff ‘n ready plastic This is an affiliate link: MomOf6 earns a commission if you purchase, at no additional cost to you. and used my heart paper punch This is an affiliate link: MomOf6 earns a commission if you purchase, at no additional cost to you. to cut out hearts, and then used a regular hole punch This is an affiliate link: MomOf6 earns a commission if you purchase, at no additional cost to you. to make a hole in each heart. The girl colored their hearts using colored pencils This is an affiliate link: MomOf6 earns a commission if you purchase, at no additional cost to you. and then watched as we shrunk them into tiny charms in the toaster oven. We then threaded the hearts onto ribbon necklaces This is an affiliate link: MomOf6 earns a commission if you purchase, at no additional cost to you. .
We also took a group picture of all of the girls, which I printed on special printer-friendly shrinky-dink plastic This is an affiliate link: MomOf6 earns a commission if you purchase, at no additional cost to you. and then shrunk them into tiny charms to wear on their ribbon necklaces along with the heart. (But I will admit that printer shrinky-dink plastic is very hard to work with, and the results weren't as great as I hoped- the ink still bled a bit even after trying to dry it thoroughly with a hairdryer set on a cool setting). The girls gathered onto sleeping bags that were spread out in the family room to watch “ Moondance Alexander This is an affiliate link: MomOf6 earns a commission if you purchase, at no additional cost to you. ,” a great movie about a girl and a horse. Most of the party guests (as well as the birthday girl) had never seen the film, so they were enthralled. About 45 minutes into the movie, we served popcorn. The movie wrapped up, the girls put on their necklaces and headed back for a little more Just Dance before the party ended up at 9 pm. Inside each of the goodie bags was a beanie baby puppy This is an affiliate link: MomOf6 earns a commission if you purchase, at no additional cost to you. 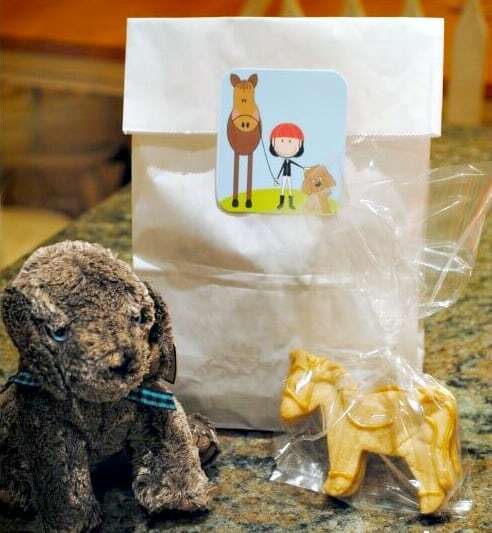 and homemade sugar cookies cut into pony shapes This is an affiliate link: MomOf6 earns a commission if you purchase, at no additional cost to you. and individually decorated by my ever-so-patient and talented husband! 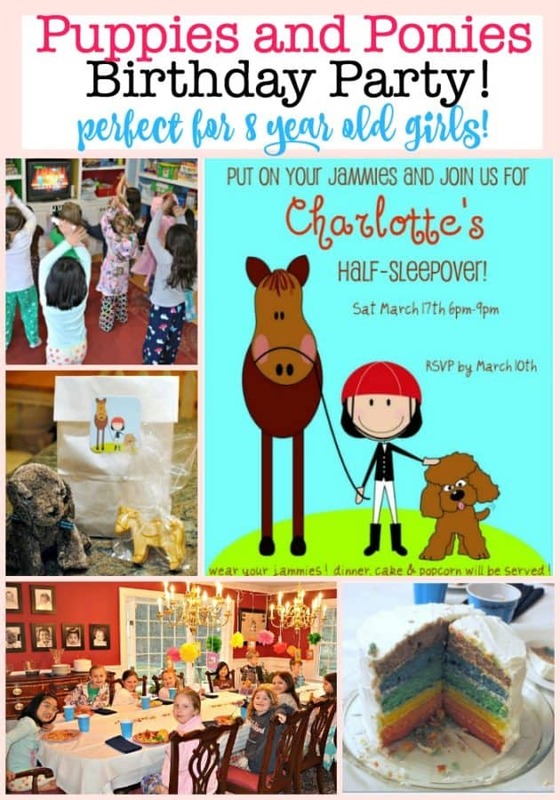 This was truly one of the easiest and least expensive parties we have ever hosted, and Charlotte loved every minute of it. And that was the very best part! Would You Like to Download the Free Puppies and Ponies Party Printables? « Tea Party Birthday Ideas: A Tea and Crafts Party that is perfect for a 7th Birthday! My little sisters birthday is coming and thanks to this website I am already ready for her birthday.I don’t even know how I got on this website. Oh- I forgot to add something. Sometimes the parties get mis-timed and you are left with time to kill… make sure you have a few huge garbage bags full of dollar store balloons…the kids wont care if they say HAPPY ANNIVERSARY or whatever weird thing the store usually has. Try to get some long, thin ones too. When there is a lull, just dump them onto the floor, tell the kids not to break a lamp and to have fun..they will come up with all sorts of games on their own. When they then get a bit tired of them, then tell them they now have to break AND PICK UP ALL THE PIECES of each balloon..but the key is- they cannot break the balloon with anything other than their rear ends. This one activity can take up a half an hour! Happy partying! *already INFLATED balloons that you have blown up previously..sorry.. 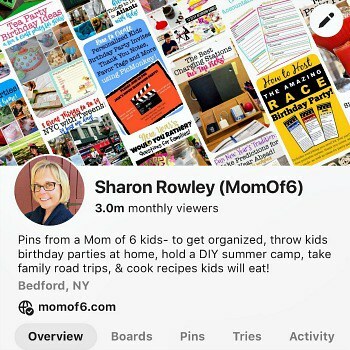 Thank you SO MUCH for posting this..I was starting to think I was the last sane mom who can’t afford (or refuses to pay for) custom made decorations and cakes….I do these same type of parties each year, but was brain dead and could NOT think of what to do this year that would be new. I LOVE the Wii & 1/2 sleepover idea. 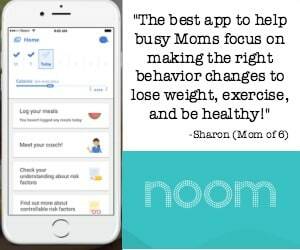 B day is in 2 weeks- you just saved me so much stress! Thanks! Thank you for the wonderful idea. 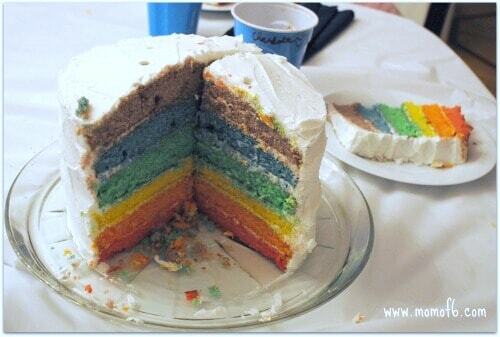 That cake follows the correct scientific order of the colors of the spectrum. Another fun idea my kids loved is the TickleMe Plant Party. Kids plant, paint and take home their very own Pet TickleMe Plants. TickleMe Plants will close their leaves and lower their branchs when tickled. Just search TickleMe Plant to find Party Favors and to show the kids the TicklMe Plant videos of this live plant in action. Thanks Ellie! It was so much fun… and my 6 year old wants to have a half-sleepover party too when her birthday rolls around in August! I’m all for it! Hi! Thought I should let you know you saved my life this week! I had booked a Party at our sports centre for my daughter (also called Charlotte!) and they had to cancel, leaving me just 8 days to organise an alternative! Desperate for ideas, I turned to the web (as you do!) and I came across your post. Thought all your suggestions were great and, best of all, so did my daughter! Our party is on Saturday. The kids are really excited about having a party in the evening – I can see the half-sleepover catching on! Thanks for taking the time to share!! Val- you just totally made my day! I can imagine the panic you felt when you realized that your party was cancelled, and I am SO glad that I had some small part in helping you to dave the day! Happy birthday Charlotte! Hi Anne! The only thing that we did after the movie was go back to a little more Just Dance 3 while we waited for the parents to arrive for pick up. 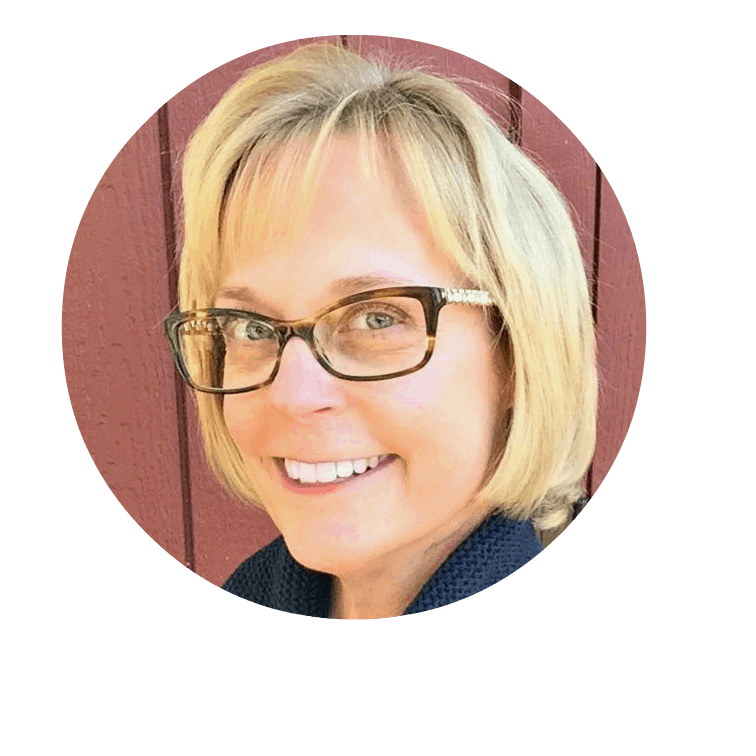 I write out all of the timing for my parties, so I can gauge when I need to move things along, or stretch out in activity…. and I always look up the time for the length of the movie and add that in. Thanks Krista! It was so much fun! I love the various activities you provided for the girls to enjoy, the rainbow cake, and food options they could choose from. The Ponies and Puppies theme was creative and fun; I thought the personally decorated cookies were fab. I love your whole approach to providing your daughter with a fun, inexpensive party that she really enjoyed. 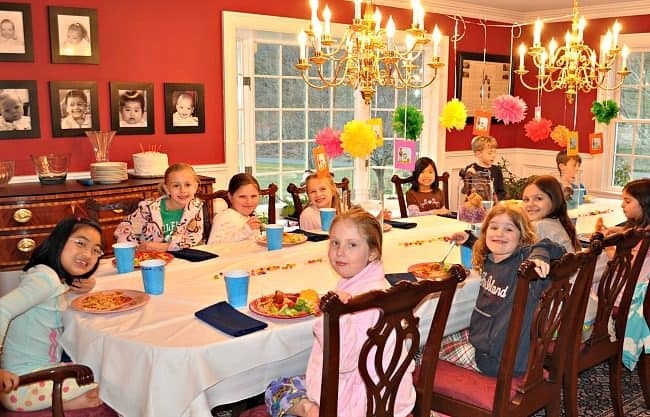 Thanks for giving us an inside view into your daughter’s creatively themed birthday party celebration. I’m so glad she enjoyed it. Thanks Dawn! 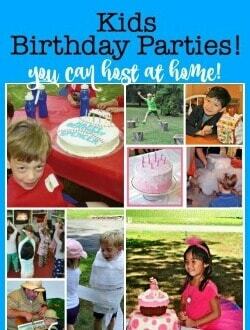 I think that hosting fun, low cost themed parties for your kids that make your child’s birthday magical is something that many parents can really do if they just had someone help them to figure out how! I will definitely check out your blog! Love the Half Sleep over Idea – that is great!! 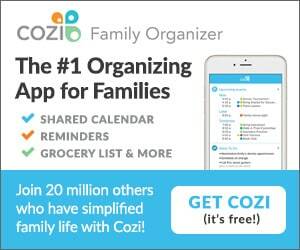 Do you have ideas hidden in your blog about boy parties – I have a 6yr old bday to start planning…. 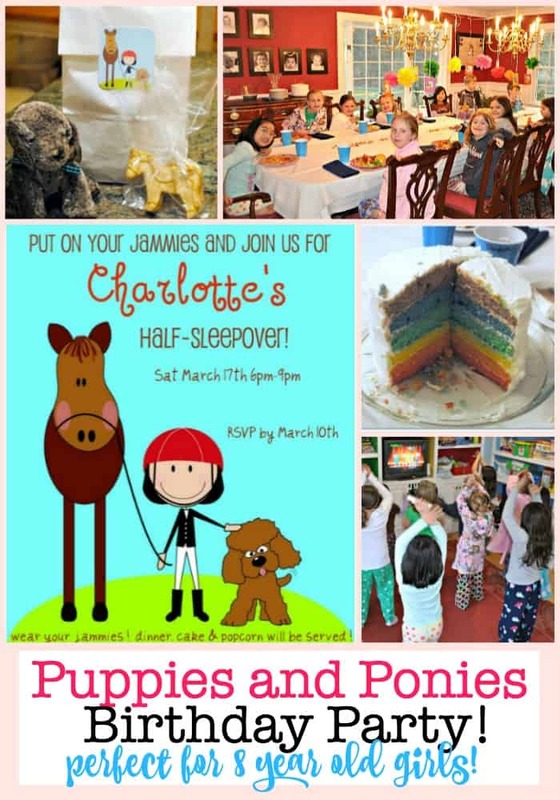 Hi Jeannette- I have lots of ideas for birthday parties for boys…. having four boys! 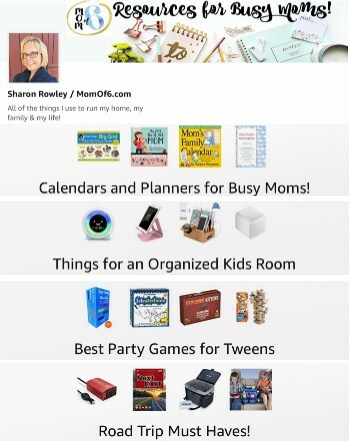 Just click on the “how to host an at-home birthday party” on the right side under “Momof6 How Tos”. Most recently our youngest son turned 6 and we had a lego party for him that was so much fun! Adorable! Love that they hung out in jammies- my kind of party. My upcoming challenge is a combined party for my 3 year old girl and 8 year old boy. I don’t envy you that challenge! That’s a big age range of kids to entertain! Jammies might need to be involved!